Solid boulder opal set in 18ct yellow gold. This opal glows bright electric blue flashing with a touch of bright turquoise green. 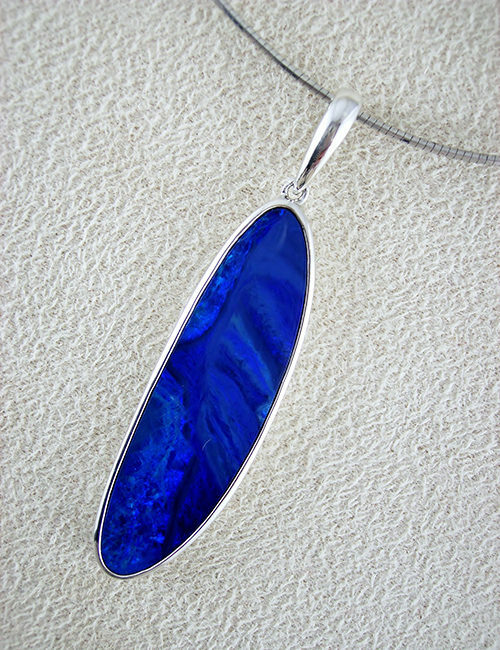 The striking pendant measures 26mm in entire length with the opal alone measuring 17mm x 17mm. The opal weighs 12.06 ct, gold weight 3.68.